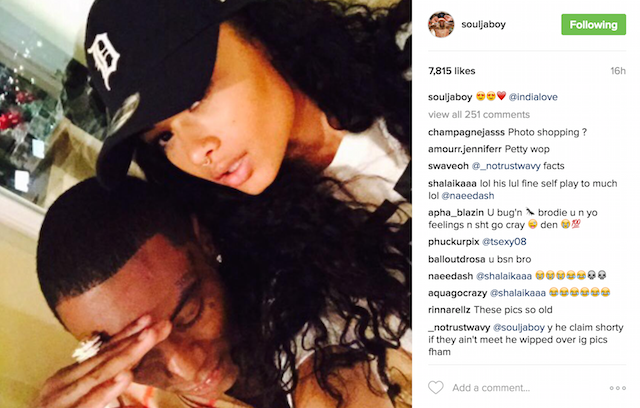 Soulja Boy took some wind out of Lil Yachty’s sails when he posted a handful of pictures with India Love on Instagram yesterday (October 28). 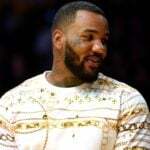 A short beef was set off when both rappers staked their claim over the model. 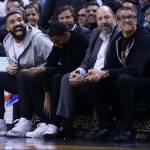 At one point, Soulja called the younger MC a “bozo” and told him to “kill your self homie” then threatened to fight him. 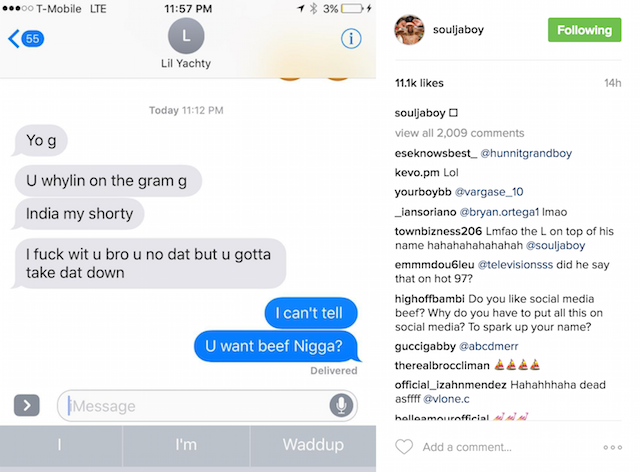 Lil Yachty apparently texted Soulja to ask him why he is sharing the flicks. 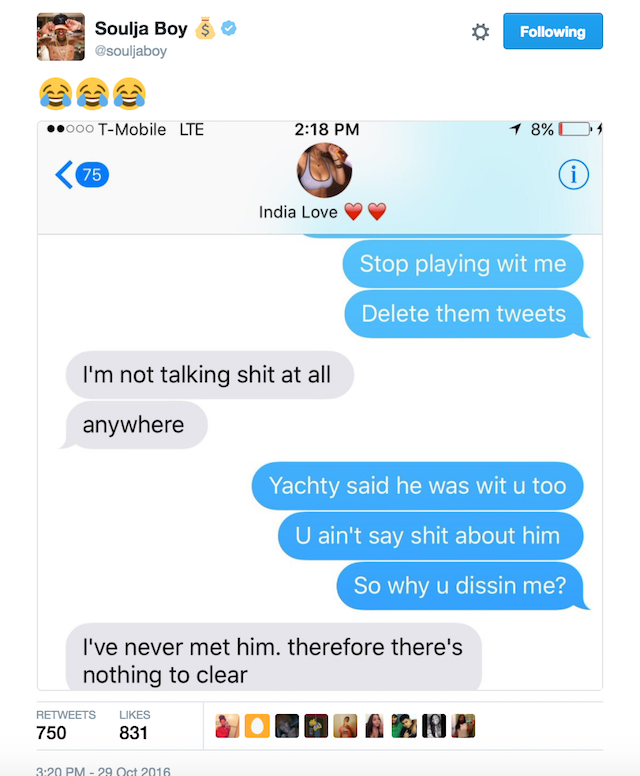 He even called Love his “shorty” in his plea for the (former?) Love and Hip Hop star to take down the pics. 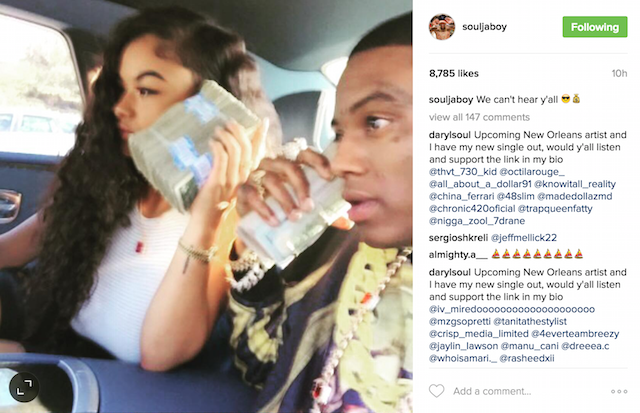 Soulja Boy threatened with some beef. 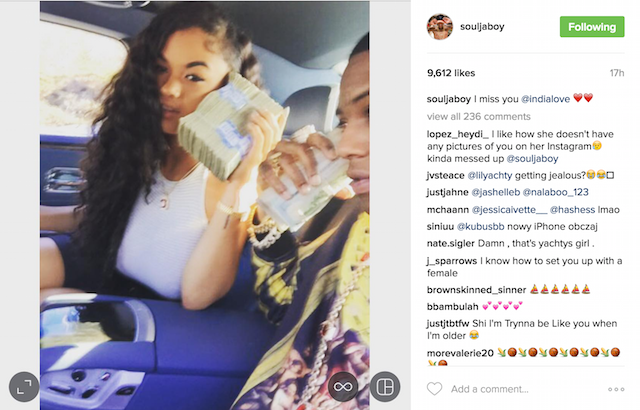 Instead of complying to Lil Yachty’s wishes, Soulja Boy egged him on, posting another India Love pic with a caption full of bait. 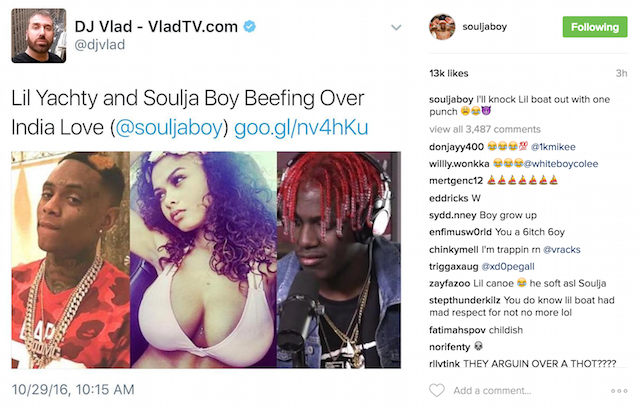 When media outlets were starting to report on the beef, Soulja Boy insisted Lil Yachty is no match for him and threatened to make the fight physical. Then he put the young MC on blast for being a groupie of his. 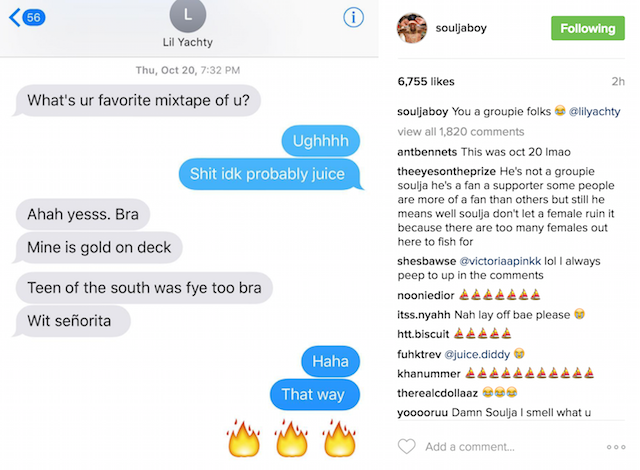 Lil Yachty did gush back in April that he’s been working on Pretty Boy Millionaires 2 with Soulja and Lil B. He takes the beef to Twitter where he shares India’s response. 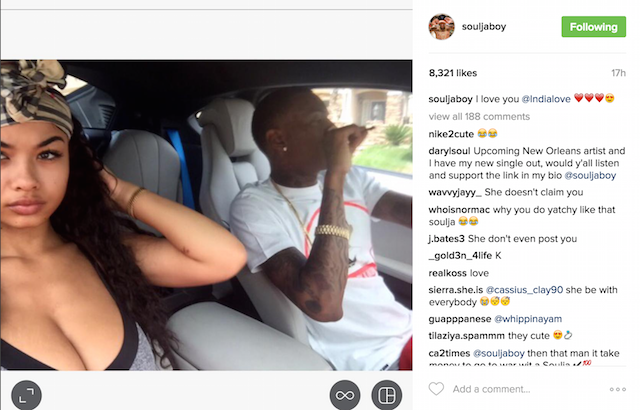 Apparently, she’s never even met the 19-year-old rapper, which gave Soulja Boy even more fuel for the fire. And here’s one more. Back on IG, here’s where he tells the Boat to sink. 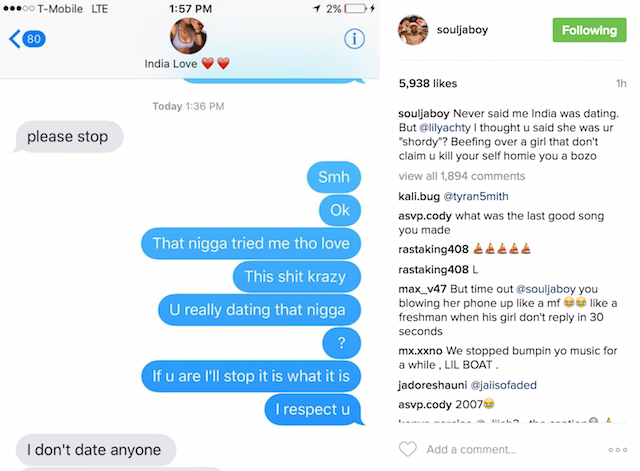 Soulja further mocks Lil Yachty with the latest info from India. He again threatens to beat up Lil Boat and disses his signature beaded hairstyle, saying he looks like Twizzlers. 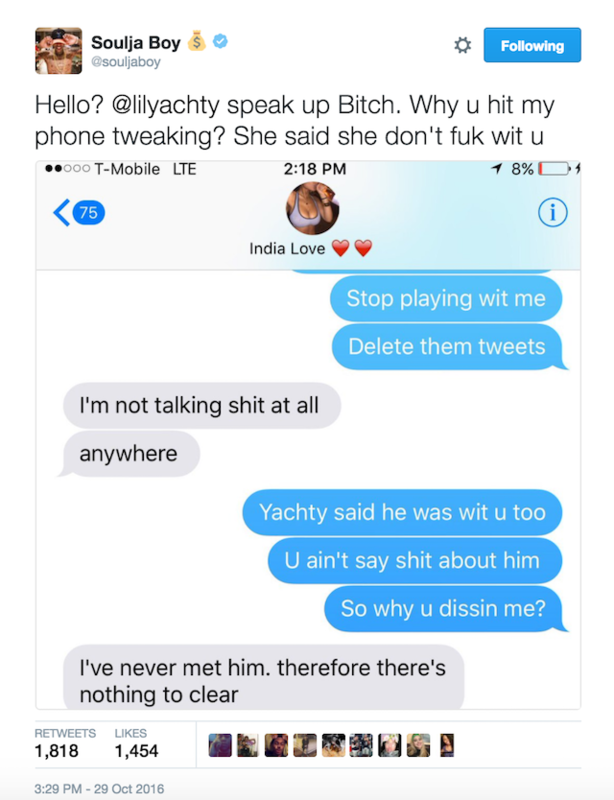 Lil Yachty cleared the air on Twitter, saying he’s not here for a fight. But he does put out a warning about messing with the Boat. 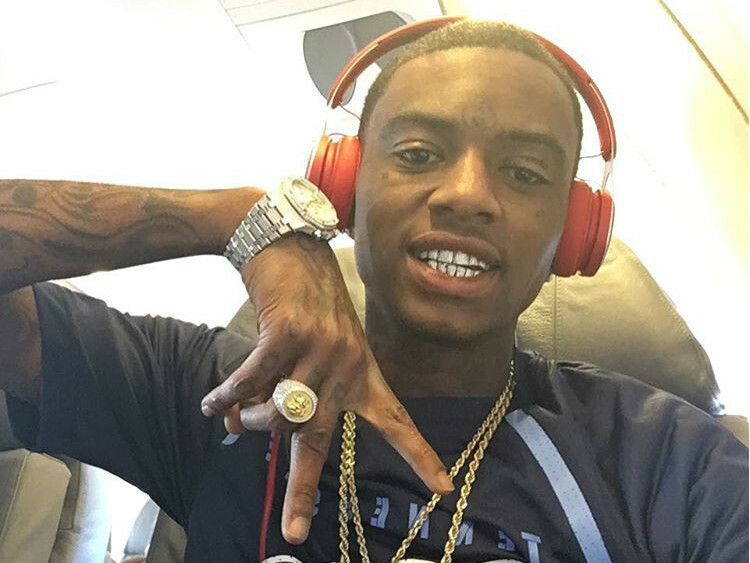 Soulja Boy seems to have backed off, too and is now focusing on promoting his new clothing line, Chosen Dream. So cop a hat if you’re Team Soulja.